We have spent the last few days here in Bathurst for Newtons Nation & it’s been a fun time. Sunday morning we went for an early 8am ride at the nearby Orange skatepark. Kenny Raggett came out with us which was a treat. Always good to see & hang with Kenny. We even got some footage of him as well. Look out for a web video from our travels here in the weeks ahead. 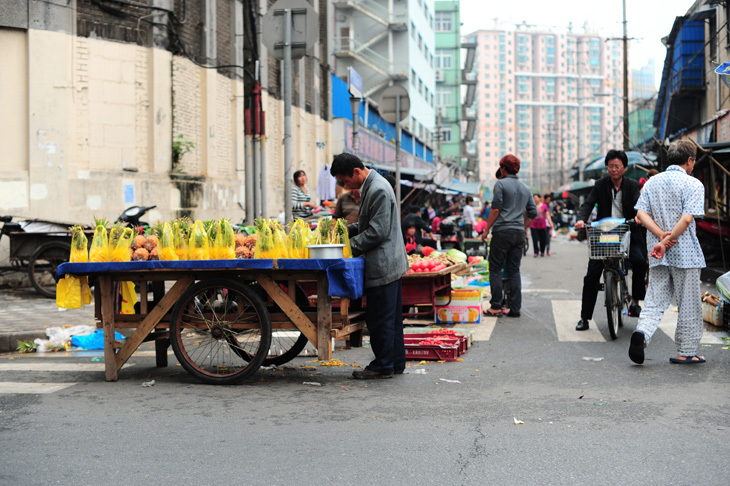 We planned to hit some spots today but the weather had other ideas so we spent the afternoon checking out local markets in Shanghai and being entertained by the traffic and randomness that you see on the streets here. 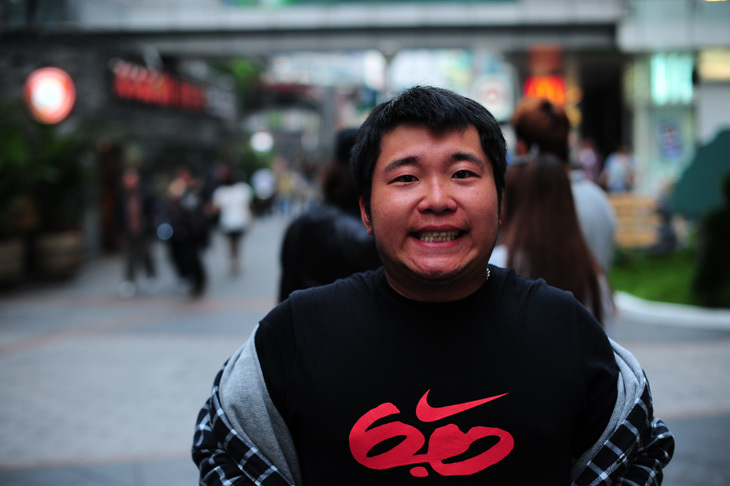 Local legend Kane Wang who runs CNBMX helped us out getting around and haggling the sellers for a deal. Fingers crossed the weather comes good tomorrow as Liam has the X-Games finals in the afternoon. Mick has been having a rough time of it lately with injuries. After just getting back from a few broken fingers he had a fall where he did some damage to his shoulder tearing his rotator cuff and AC joint. Hopefully it’s not to bad, once the swelling has gone down he will know more. Thanks to lost baggage we spent most of the day/evening waiting for our bikes to show up, 4 out of the 5 have now appeared. We did some walking around and it was an amazing experience just to watch how the traffic operates here, it’s so ridiculous! Hopefully tomorrow we have some more luck with the final bag so we can get moving on the clip game. 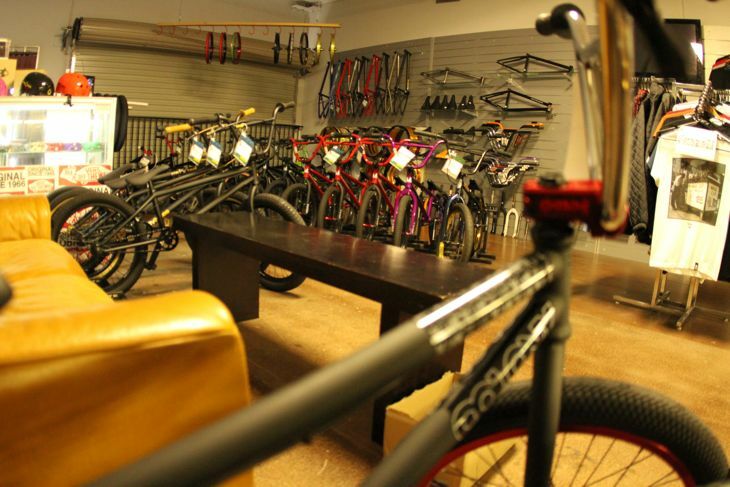 Freeriders Bike Shop in Camira have carried Colony since they opened just over a year ago. 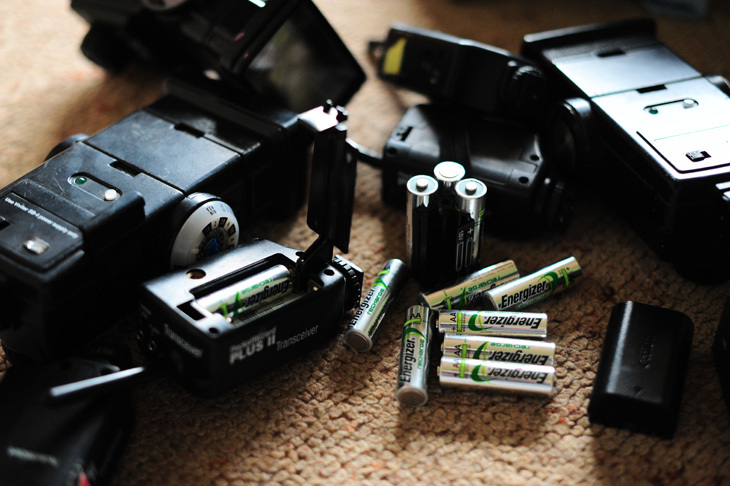 They carry a good range of our products & offer good service. Check them out next time you’re in the area. It’s been a pretty good few days of driving around hitting up various parks between Sydney & Bathurst. We’ve hit up Macquarie Fields, Penrith, Lawson, Lithgow, Millthorpe & Manildra. It’s been really good so far with great weather & some good times along the way. We rode the park in Manildra today & it was a blast. Check it out below. More from the road soon as we are at Newtons Nation now for the next few days. There is a new website headed by Keith Treanor that has just launched called, We Have Motive. 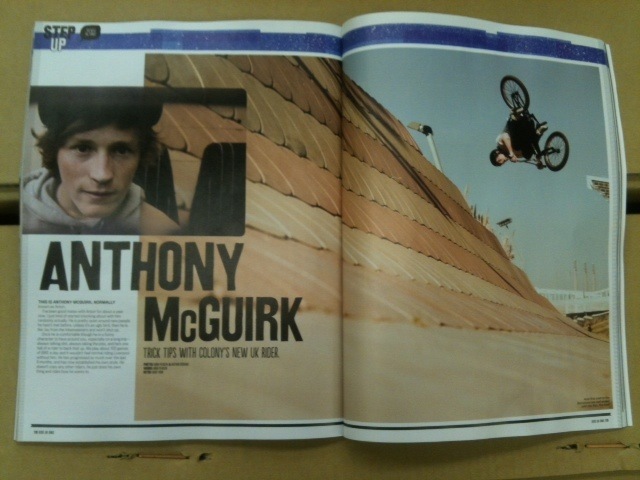 Check it out here now & boss man Millar has an interview up on there. Part #1 with more to come soon. Check it out. 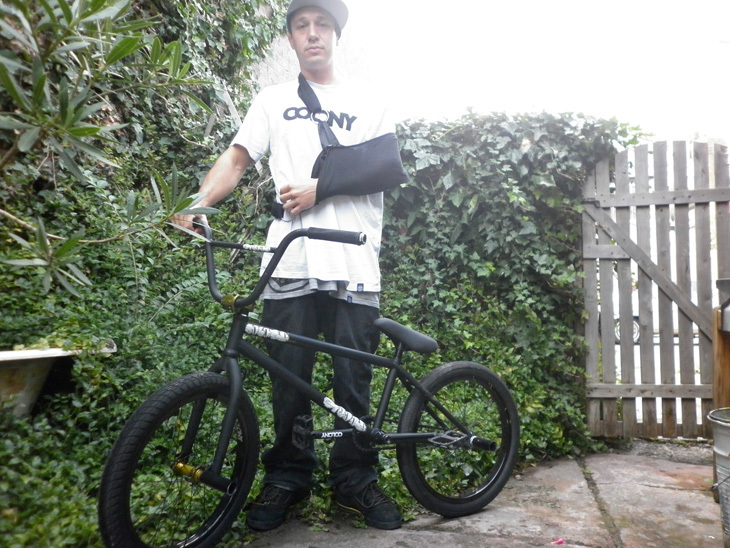 Anton McGuirk is slowly on the mend after his crash in Estonia 4 weeks ago. Wont be too much longer till he is back on the bike. He says he wants to waste no time in getting to filming for is welcome to Colony edit. Watch this space. We made it to China! It’s been a long long day, we’ve been up for 23 hours and just got settled in after our first flight being delayed which made us miss our connecting international flight so we had to wait a couple of hours but Brock made it on the original flight. 12 hours later we made it to China but couldn’t find Brock until we realised he came in at a different terminal. The chaos didn’t end there though. They lost all our checked in baggage so we still don’t have our bikes! Hopefully they show up tomorrow! 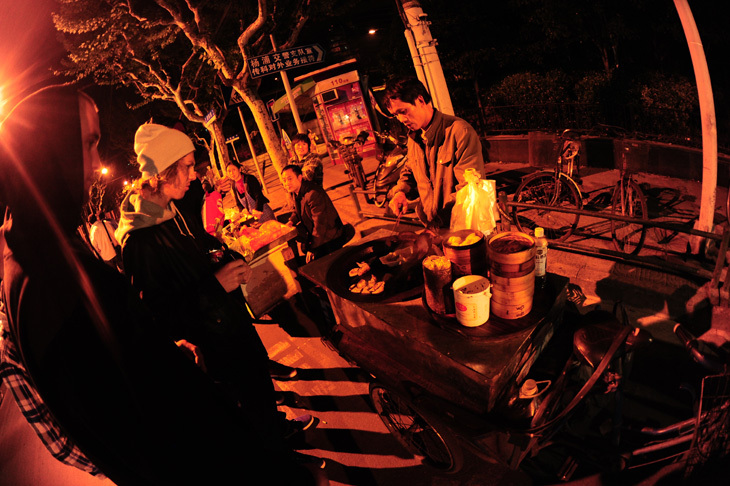 Just down from the hotel some of the guys tried some weird looking street food straight off the plane. 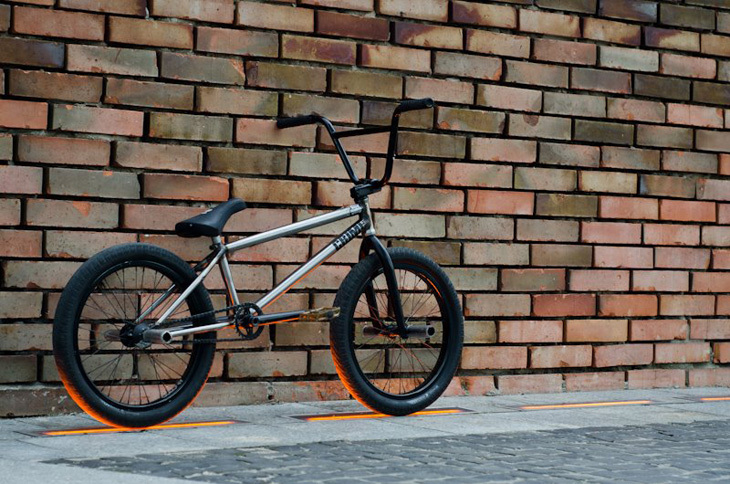 I really, really like the photos the guys put together for this bike check of Michal’s bike. 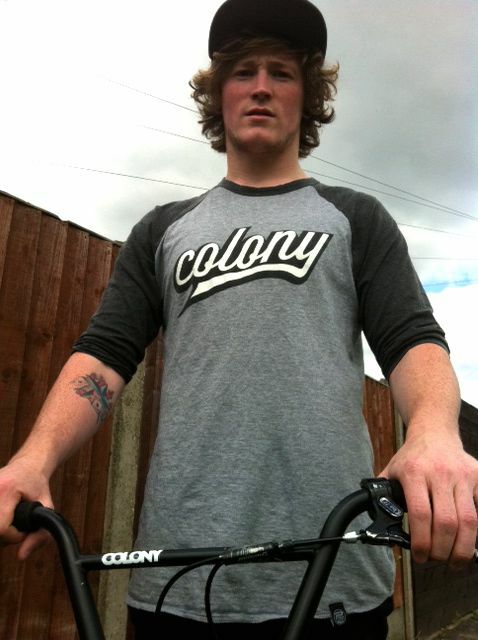 Check below for the list of Colony product being repped on this beast! 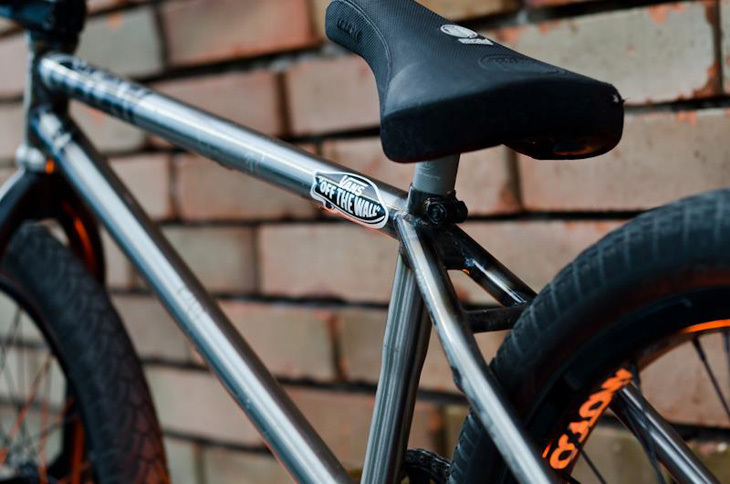 Thanks to AVE BMX for their strong support for all we do over in Poland & beyond. 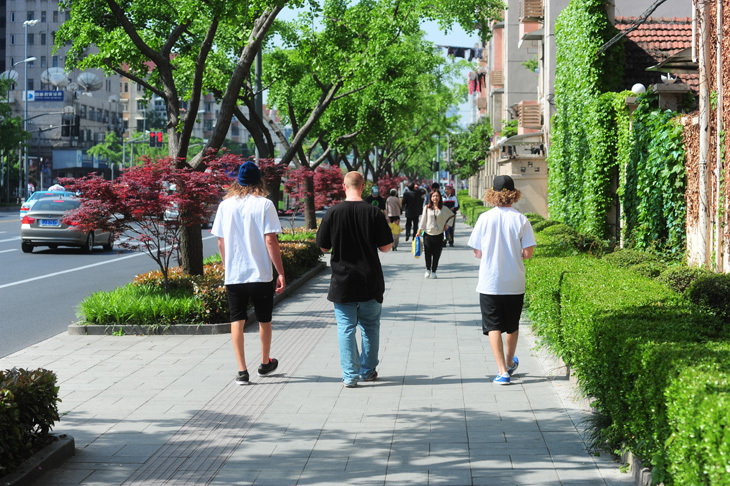 Brock Olive, Marnold, Liam Zingbergs & Cooper Brownlee are all off to China today for the Asian X Games in Shanghai & too ride & explore the streets for a week afterwards. Expect some reports from over there whilst the guys are there. Should be a good trip for them all. 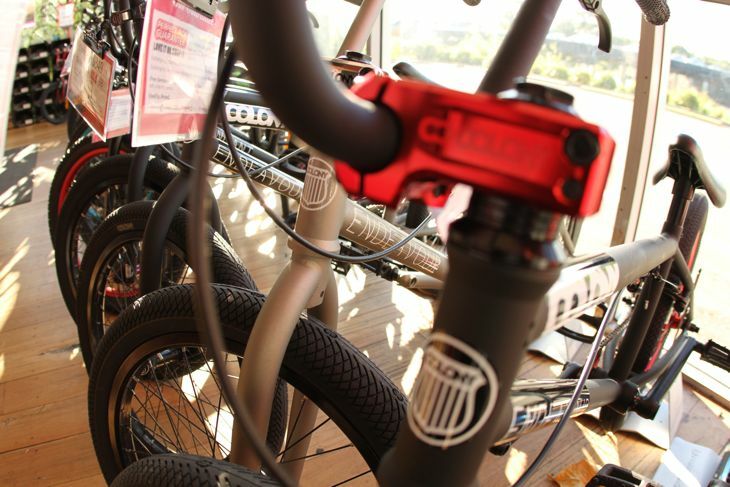 Over in the UK there are some very limited numbers of the Black/Purple Colony Endavour complete bike which are available exclusively via the Max Out store in Thornton-Cleveleys. 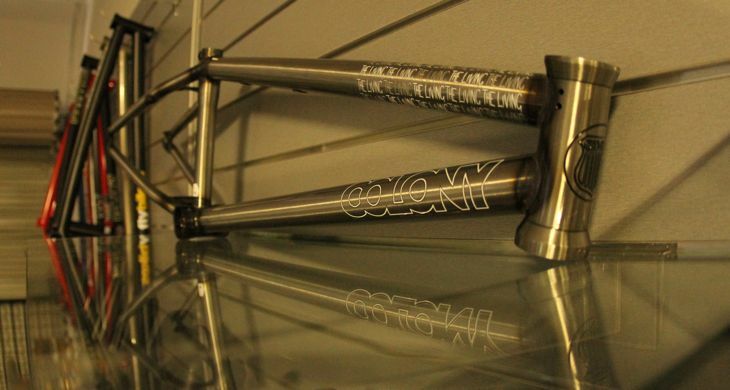 Get in quick over there if you are hyped on one of these bikes. 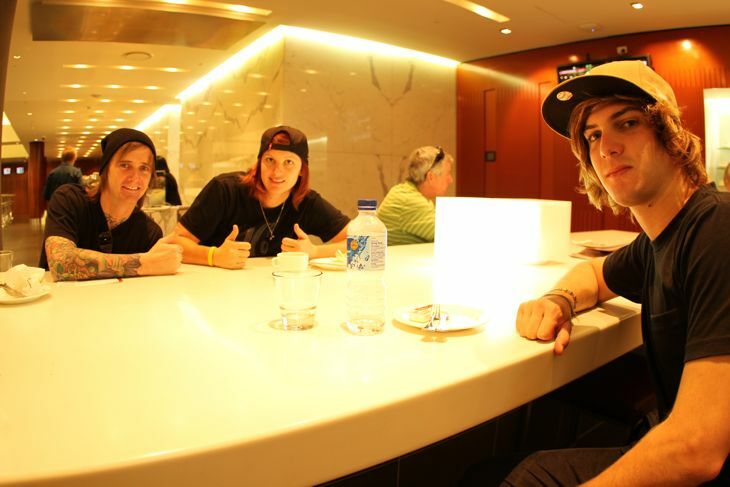 Chris Courtenay, Tom Stretton, Peta Shepherd & myself are off to Sydney for 5 days to ride & film. Tom will be staying in Sydney & meeting up with Zac Miner while the rest of us including Ryan Guettler will be travelling out to Bathurst for the weekend. Should be good times. 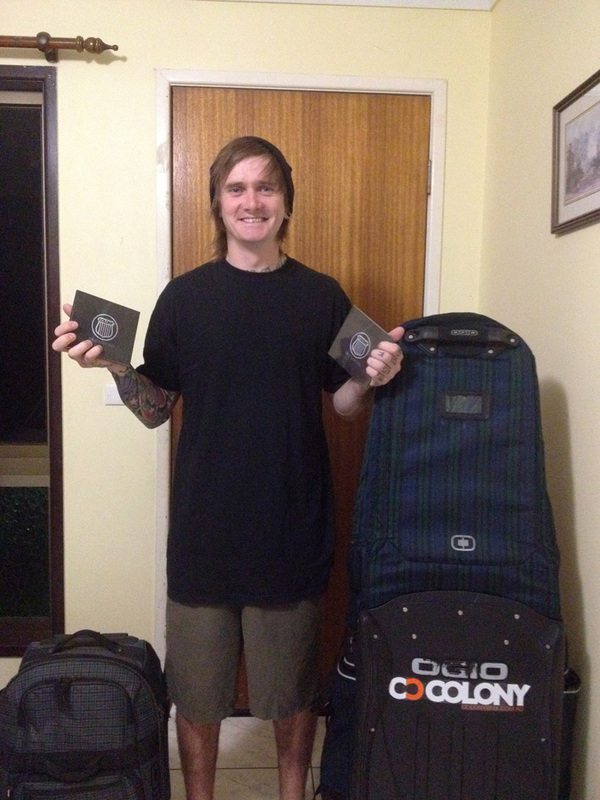 Tom is off to Sydney today for a week to film for the 2020 DVD with Troy Charlesworth. Hopefully the weather holds out for the guys and if you see them around hit up the guys and say hi! 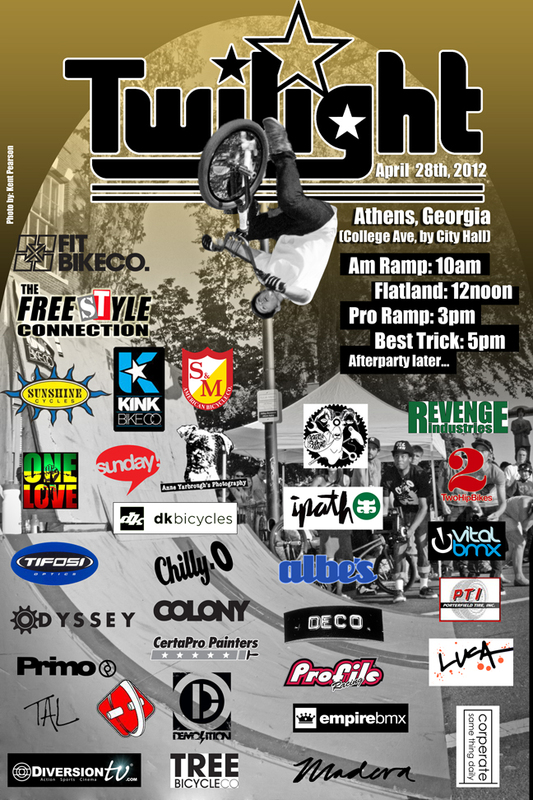 I hear Tom has a couple signed copies of the Colony dvd for the first 2 people to ask him to do an hang five. 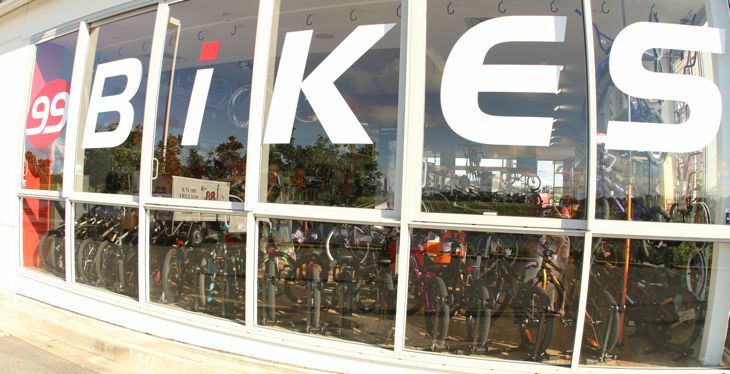 99 Bikes around the country carry our ranges of bikes in most of it’s stores. 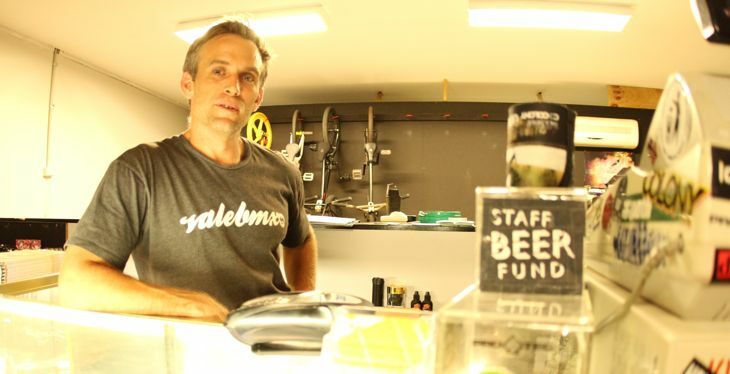 One store that does carry them in a big way, is the Mermaid Waters store down on the Gold Coast. 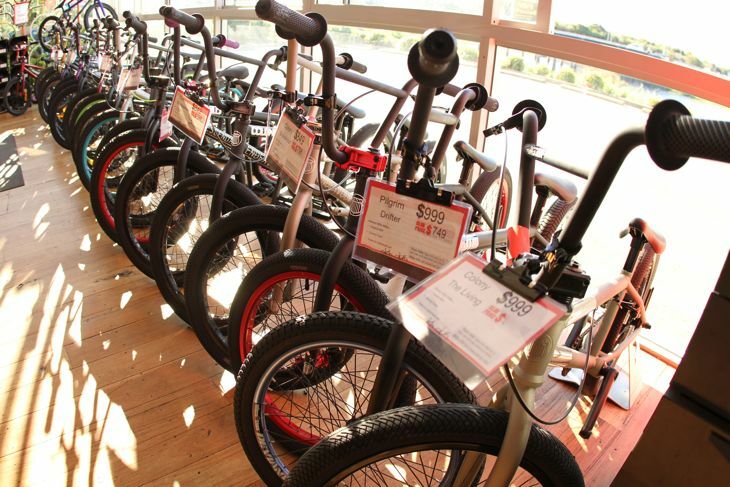 They have a the full range of our 2012 complete bikes in store with the full range of colours available. Check them out next time you’re in the area. Check out this little travel tip that Cooper did over on the Focalpoint site. Spotted this Brock Olive video over on Crispy Stream. Just some scraps that wont make the 2020 DVD. 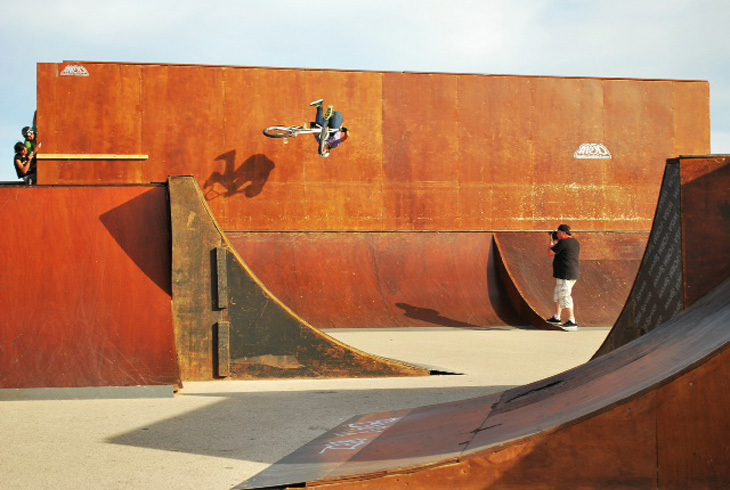 Clint Millar, nose pick in some Brisbane drains. Download it here for standard screen resolution or here for widescreen. Pete Radivo’s brother Dao, runs a dirt bike business & sent me this quick little video of Pete doing a nose pick on his dirt bike. 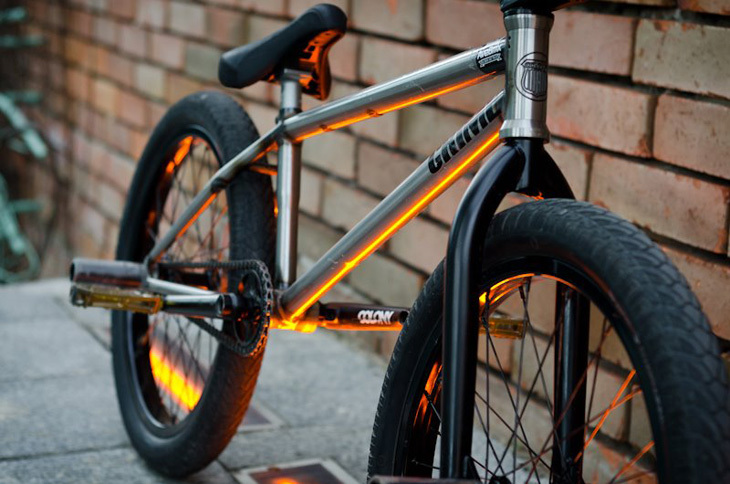 Pretty cool I thought. 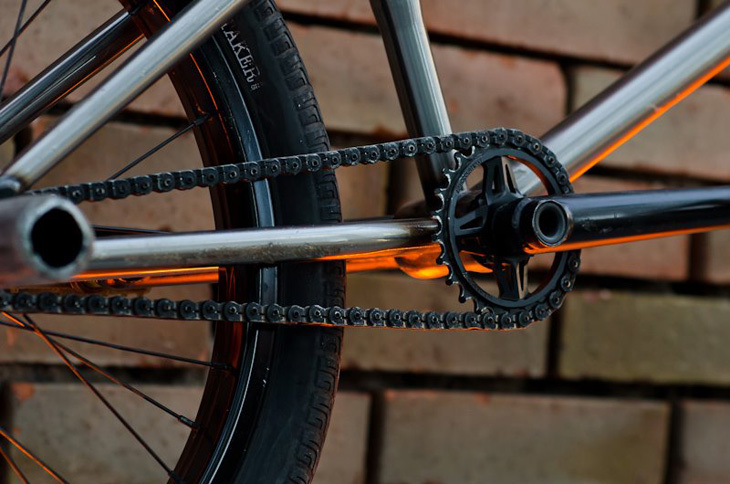 Go the front brakes !! We have a road trip planned for this week starting in Sydney. 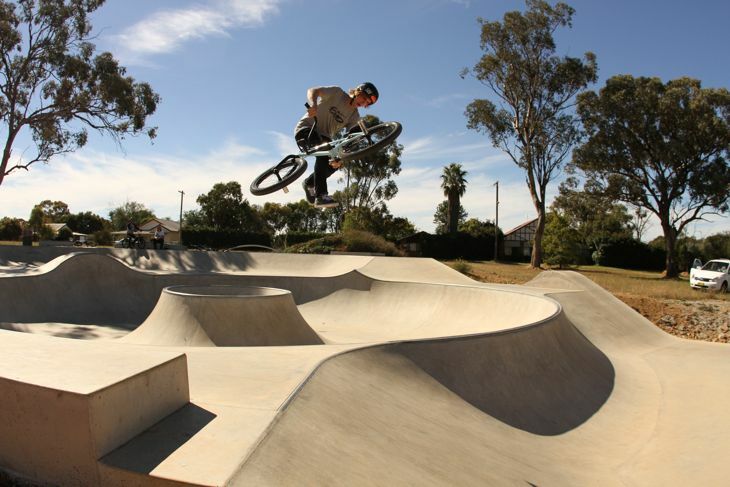 Chris Courtenay, Peta Shepherd, Tom Stretton & myself will meet up with Ryan Guettler in Sydney on Wednesday then ride some of Sydney’s parks on offer. 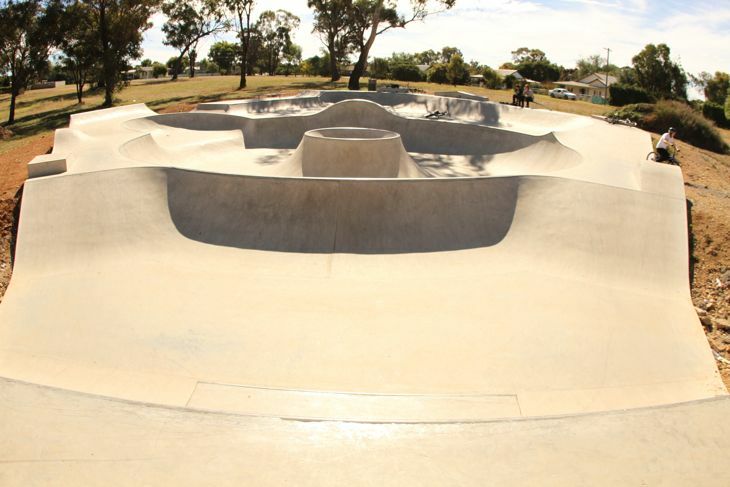 Thursday we will ride a bunch of parks on our way out to Bathurst for Newtons Nation on the weekend. 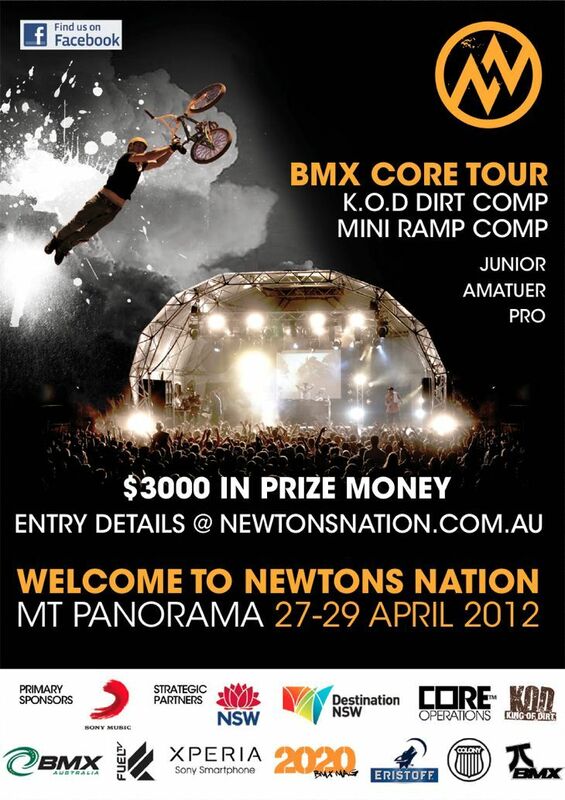 Should be a good few days & the comp at Newtons should be really good as well. Reports from the road no doubt, so check back through out the week. 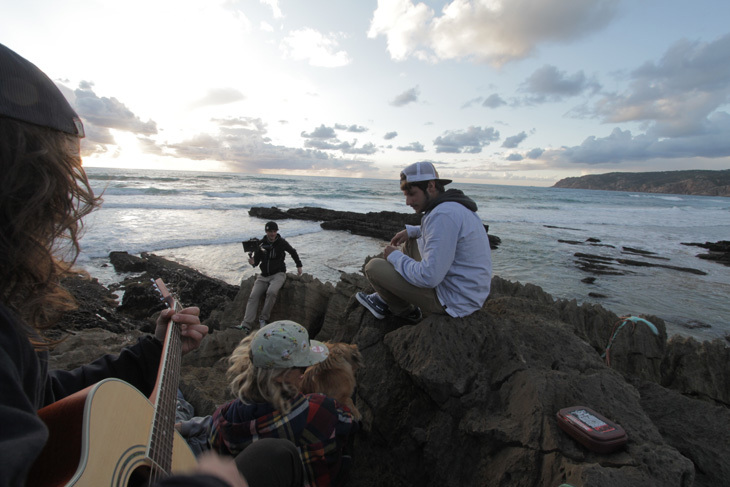 Peta Shepherd scored some coverage over on the Redbull website… check it out here now. Plus below is her Ten Clips from last year as well. Enjoy. Anton McGuirk had a bad crash in Estonia at Simple Session & has been off the bike since. He will be off the bike for another 6-8 weeks at least yet but is healing up well. Back injuries are always very scary. Just glad he is gonna be all OK. He will be back on the bike soon enough though. 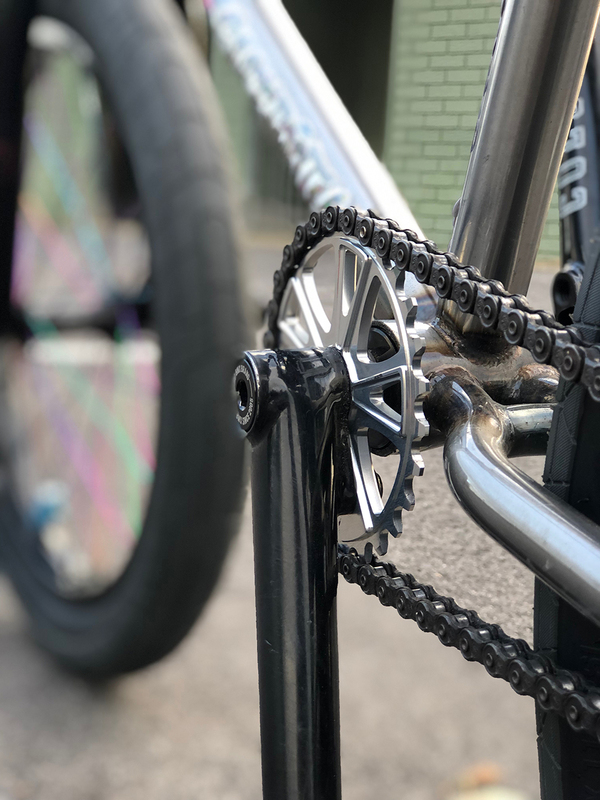 He recently got a cool feature in the new issue of Ride UK & the guys at Tabletop Distribution did a news piece on it on their site. Get yourself a copy of the magazine which is out now. 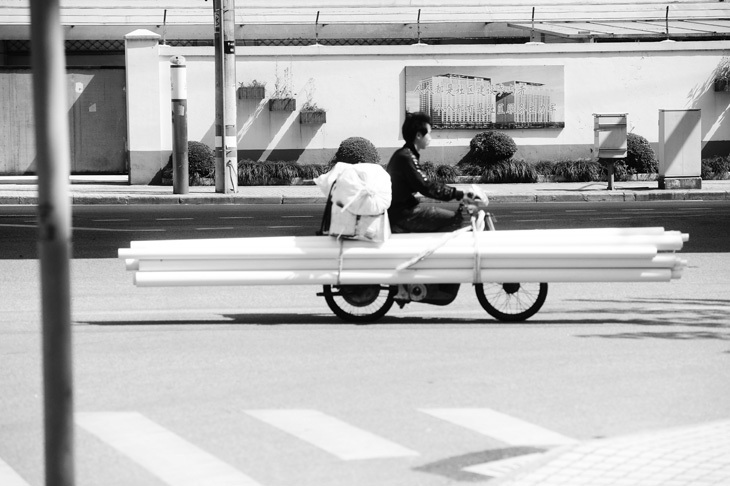 Michal Mycek always seems to be travelling around, read below for his latest adventure and incase you missed his web video from a couple of weeks ago click here. “I Just came back to Poland after 6 weeks travelling around Spain & Portugal. Barcelona was my playground whilst getting back to riding after that crash… Four months later and it still hurts a little sometimes. 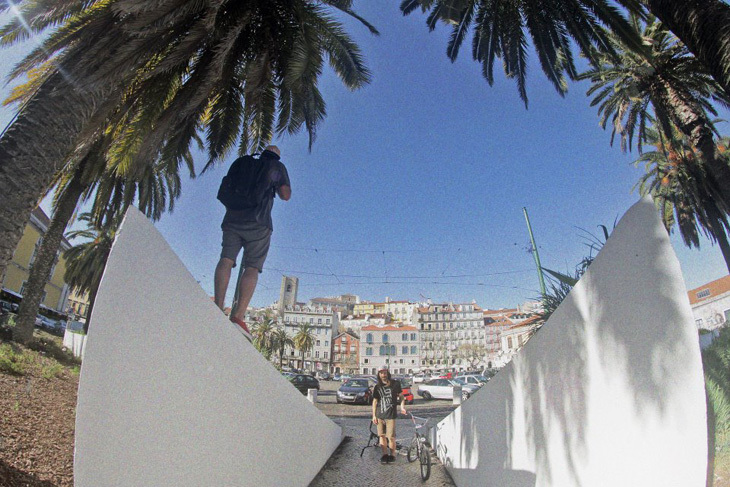 My friends Filip and Brad joined me, in Portugal got more confident, the guy with the mustache is one of my best friends. He made me start doing big things again because I was scared about the shoulder the whole the time. It’s kind of loose, different than before but whatever, I don’t thing about it anymore. 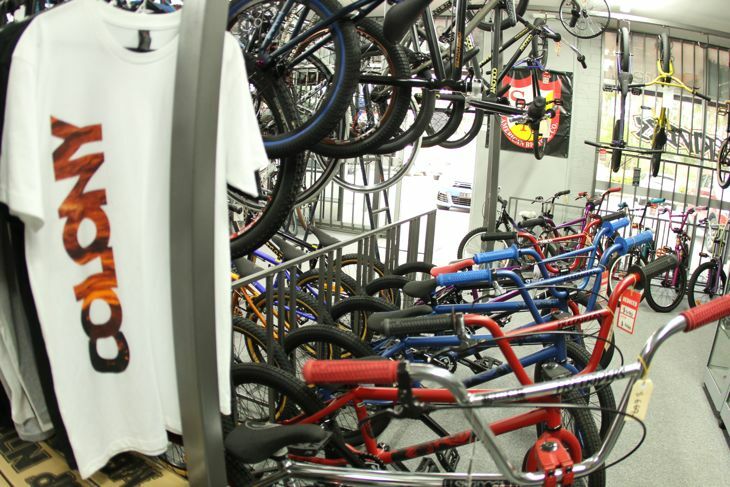 Vale BMX down on the Gold Coast have recently moved to a different location which is more central to everyone on the Gold Coast. 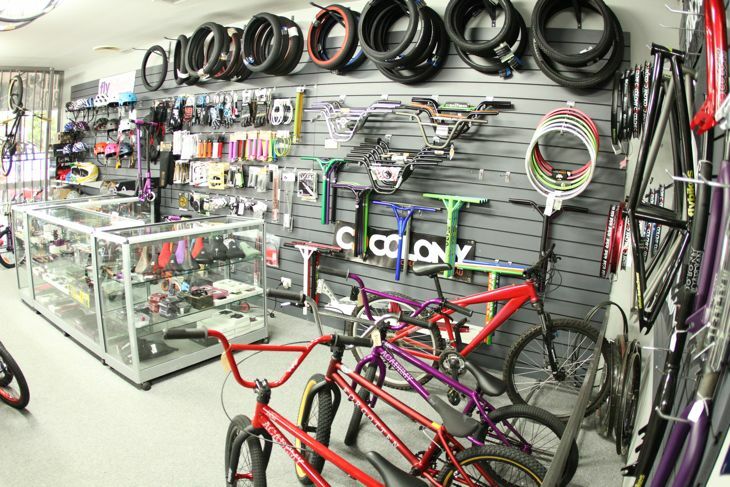 They are in Southport now & the new location is a very tidy one. 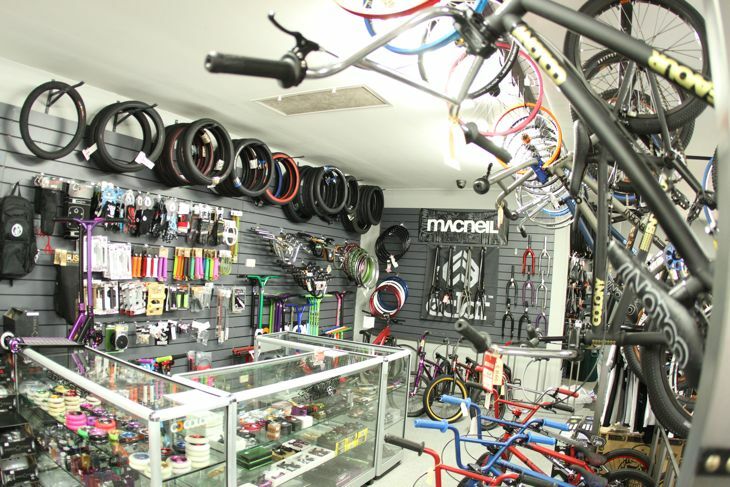 Vale BMX are the premier BMX shop on the Gold Coast & Mitch has been riding himself since the early ’80s so he knows what’s up. Hit them up on their website or better still go see them in person. 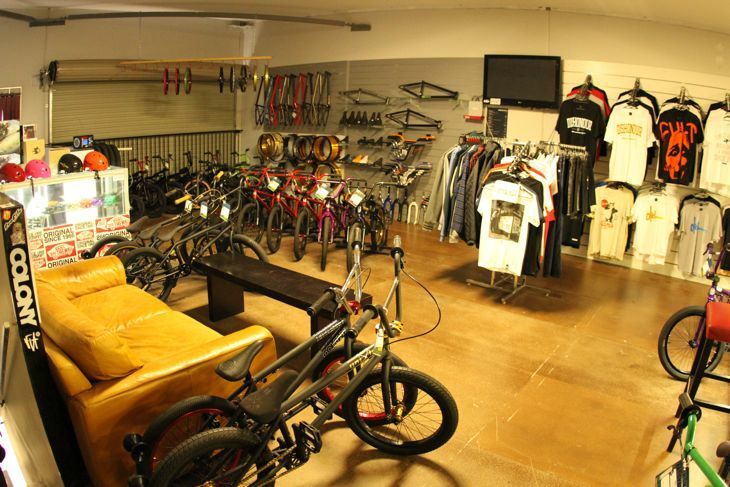 You will be impressed by the showroom full of BMX eye candy. 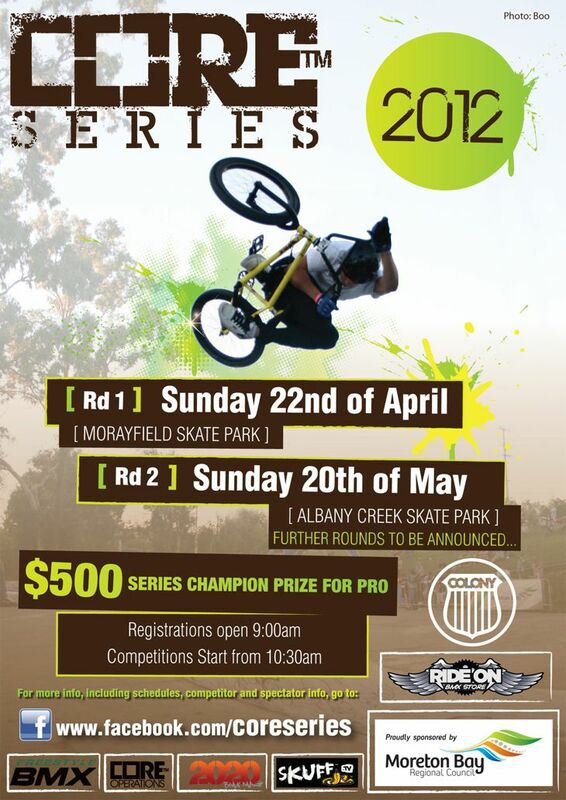 Tomorrow is the 1st round of the 2012 Core Series & we have once again got behind the event. This first one is set for Morayfield & should be a good one as always. 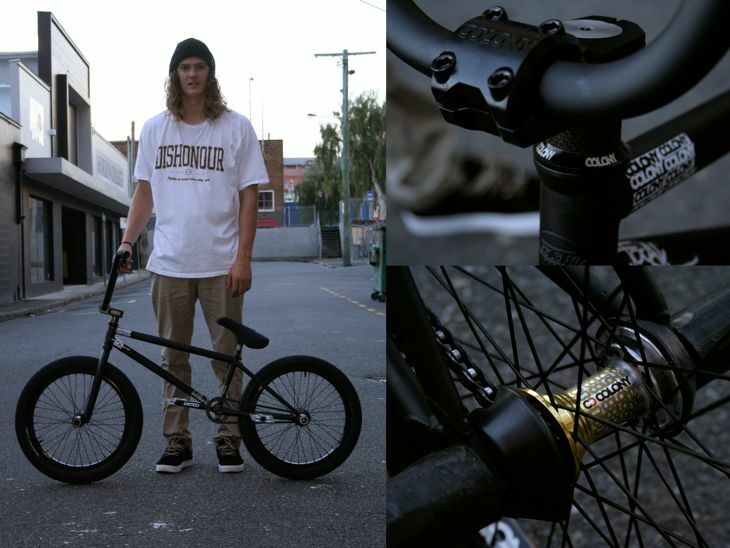 Brock Olive popped by the office recently & picked himself up a new ride. 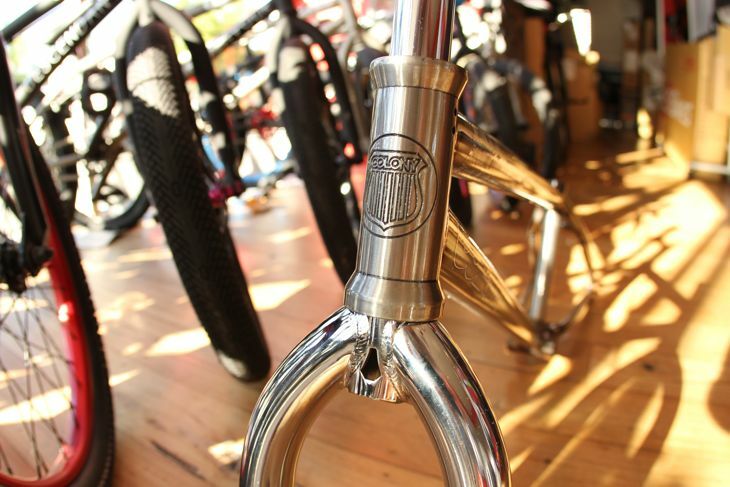 Check it out below as expertly built by the guys at LUX BMX in the Valley here in Brisbane. 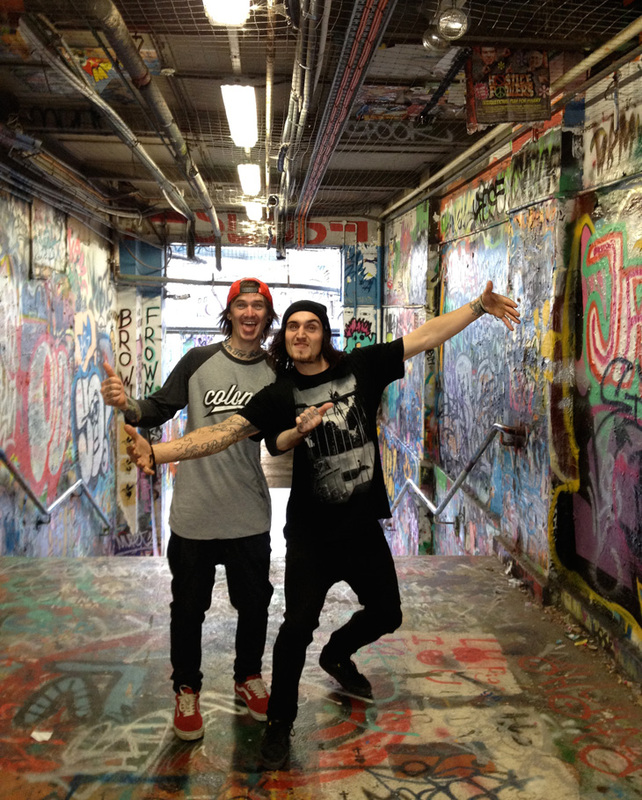 Thanks for the photos guys. 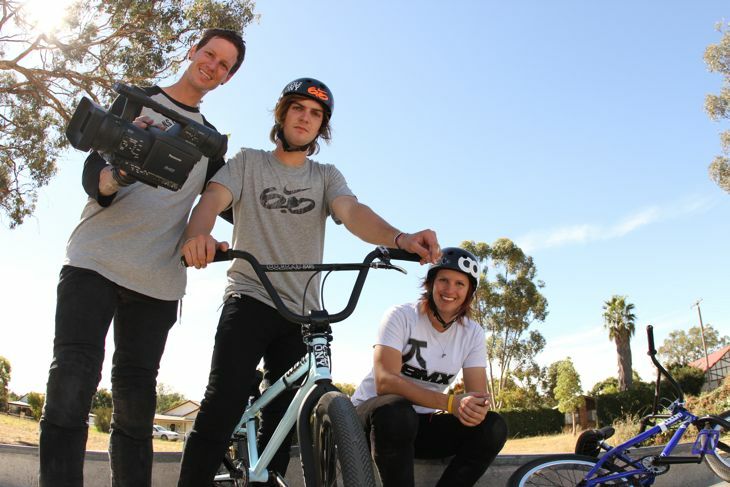 In other news, Brock is off to China this Thursday with Marnold, Cooper & Liam for the Asian X Games in Shanghai. More news on that soon.